Blackpool Wren Rovers are a non league football club based in the south of the Lancashire seaside resort in Squires Gate near to Blackpool Airport. The club were formed in 1931 as Wren Rovers FC playing in local football. In 1972 'The Wrens' joined the Lancashire Combination and then became founder members of the North West Counties League in 1982. In 1990 the club changed its name to Blackpool Rovers to reflect the town they represented. 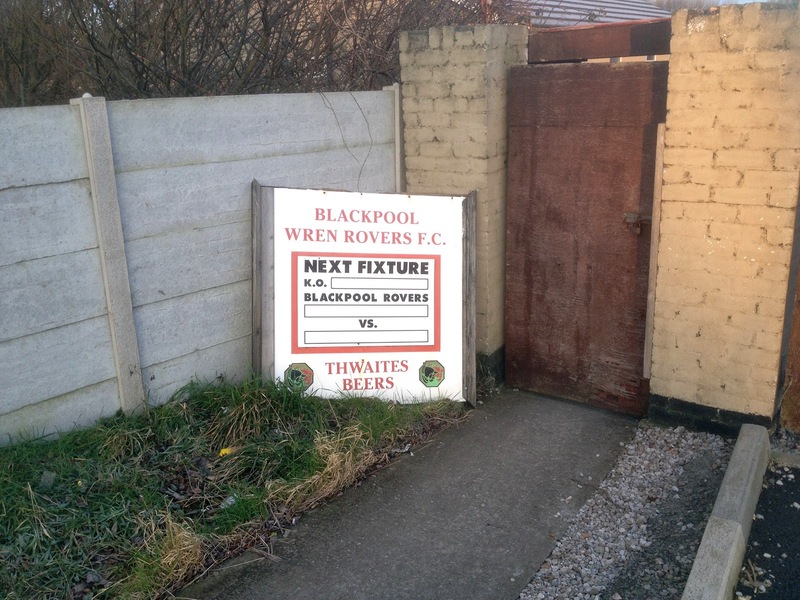 Rovers had one promotion before they decided to resign from the league in 1998, changing their name to Blackpool Wren Rovers FC at the same time. 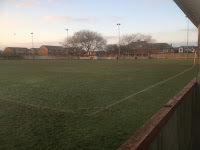 They became members of the West Lancashire League, where they went on to spend extended spells in the Premier Division, finishing as runners up in 2012-13. 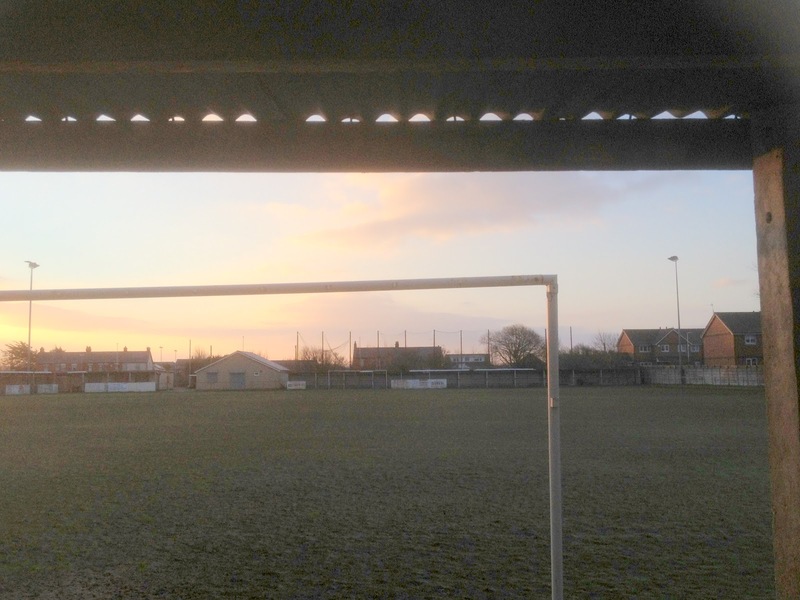 Blackpool Wren Rovers will compete in the West Lancashire League Premier Division in the 2013-14 season. I had finished my night shift in London the previous morning and travelled up to Blackpool to watch the Seasiders match against Coventry City before heading to Manchester to take in the Bolton Wanderers and Arsenal clash. I got up earlier than intended as my body struggled to readjust to my new sleeping pattern so I headed out to Squires Gate on the bus at just gone 8am. It was very cold by the coast, but the sun was shining. I got off the bus and cut across The Shovel car park, which backed onto Bruce Park. I was quite impressed by the ground considering the status of Rovers. It was quite apparent that it had staged a higher standard of football in the past, although it was starting to show its age and lack of care in places. 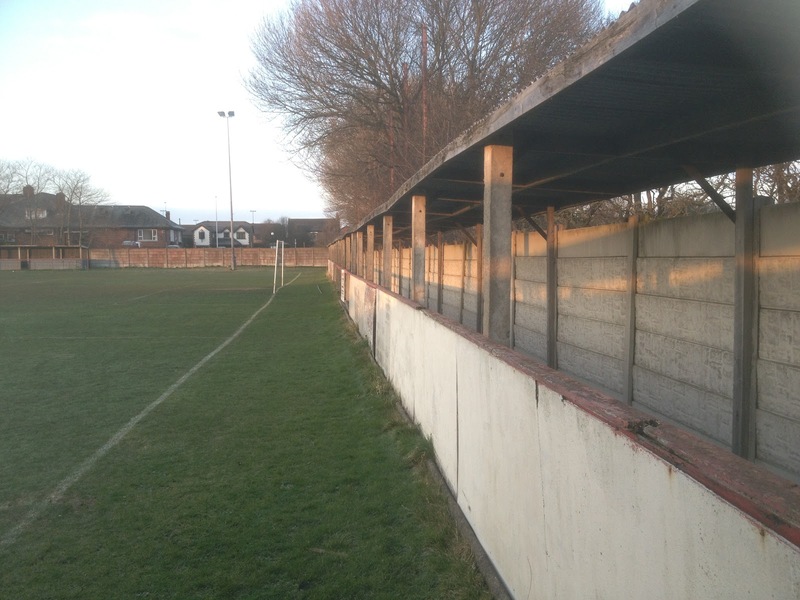 At the Blackpool End there was a full length shallow cover which carried on around the Squires Gate FC side and round the top corner by the clubhouse and changing rooms. 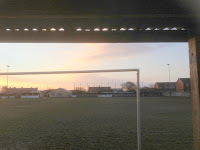 It also continued behind the goal. However, some sections were now missing down the sides. 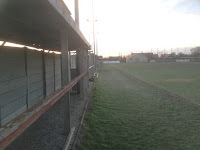 A small stand stood alone on the Pub Side, with the rest of the ground consisting of hard standing and grass. There was little room between the pitch and the boundary fence. I had the shortest walk ever to the next venue. 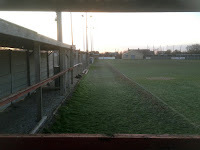 In fact I could stand near the corner flag and see into two grounds at once! 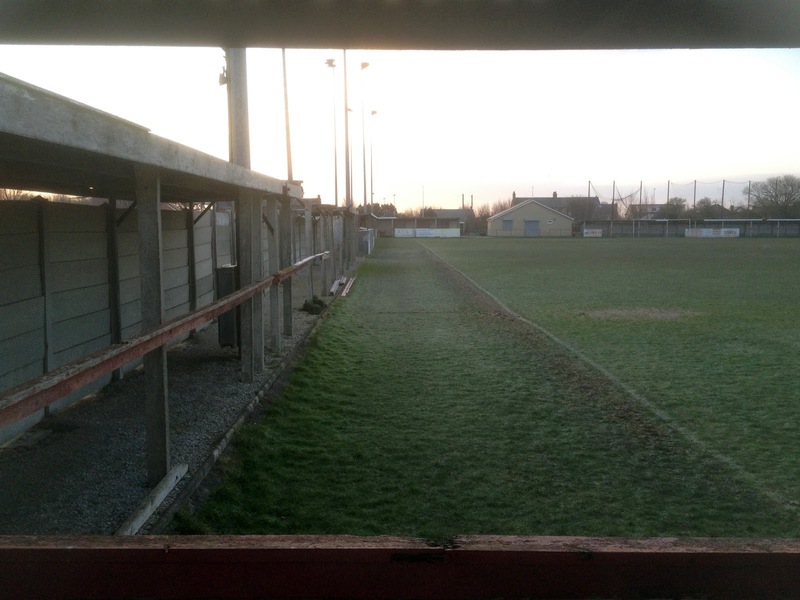 It seemed crazy that two clubs tried to upkeep two grounds so close, but that's football and its rivalry for you!